'Baby Doll' dress is Sissy creation that you will adore to wear! 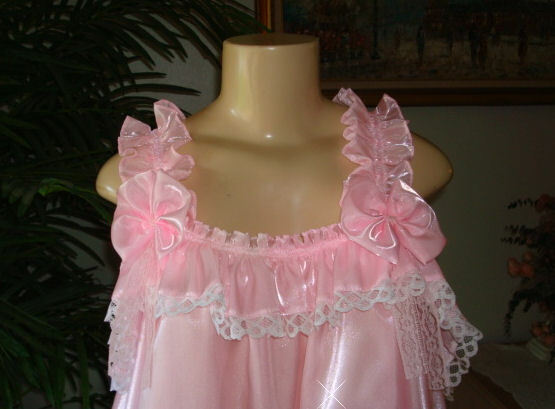 She has a super full body trimmed in lots of ruffles and lots of lace, and cute satin bows and ruflled shoulder straps. Made in with a very irrecedent shiny semi Sheer Pink SATIN that feels real soft and Smooth.